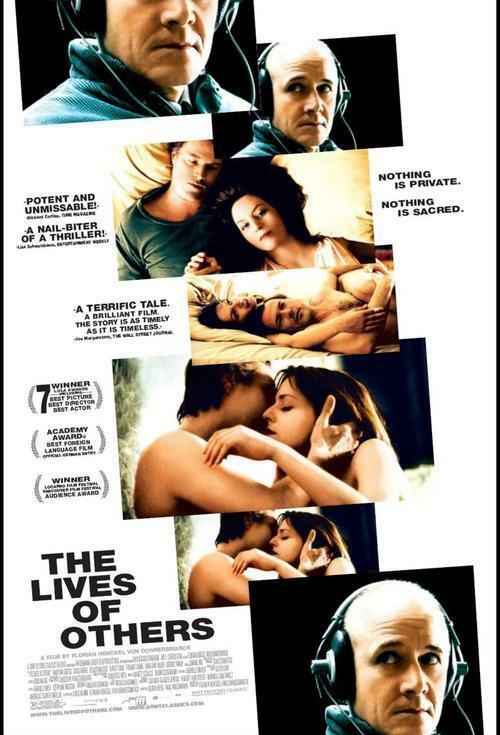 The Lives of Others: So You Hate Subtitles? Experience a new film series with a pre-screening lecture from Philip Taylor: Actor, Screen-writer, Director & Professor at the ASU School of Film, Dance and Theatre! Actors hate being dubbed into foreign languages and, they think that dubbing should be illegal! If you watch a foreign film that's been dubbed, you're missing out on a large percentage of the film: the real intonations and vocal subtleties of the actors. Many moviegoers shy away from foreign films because they are usually subtitled and also because they have a reputation for being "artsy". However Foreign movies can be just as thrilling or romantic or heart-breaking as Hollywood product. The foreign films selected for this series will delight and amaze you. They are some of the most enjoyable movies of the past twenty years. At once a political thriller and human drama, THE LIVES OF OTHERS begins in East Berlin in 1984, five years before Glasnost and the fall of the Berlin Wall and ultimately takes us to 1991, in what is now the reunited Germany. THE LIVES OF OTHERS traces the gradual disillusionment of Captain Gerd Wiesler (Ulrich Muhe, best known for his lead roles in Michael Haneke's FUNNY GAMES and as Dr. Mengele in Costa-Gavras' AMEN), a highly skilled officer who works for the Stasi, East Germany's all-powerful secret police. His mission is to spy on a celebrated writer and actress couple, Georg Dreyman (Sebastian Koch) and Christa-Maria Sieland (Martina Gedeck).